Have you been following Marte (from Compagnie M) as she shares her amazing adventures in Romania? 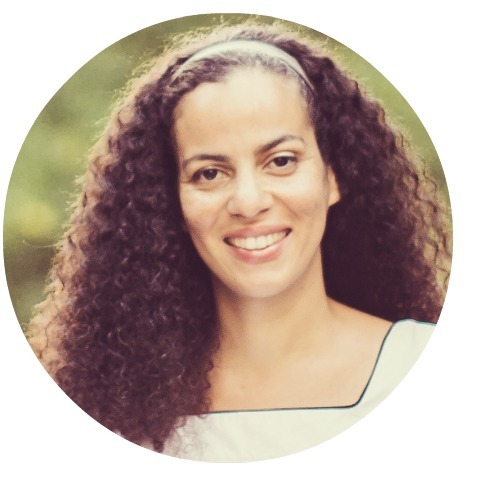 She and her family are there now, and she's been creating beautiful clothing for the Maramures locals. The stories are heartwarming, and as always, her garments are lovely, made even better by the smiles of the precious children. 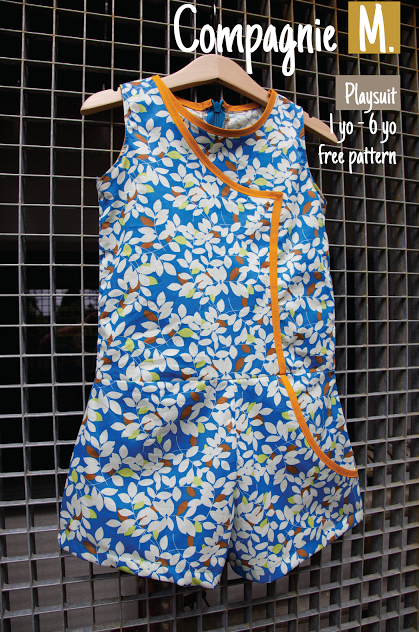 And while Marte's been away in Romania, I've been sewing her newest complimentary pattern: the Playsuit. 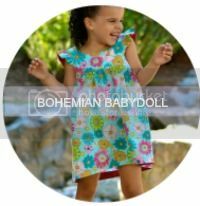 This pattern was so fun to make, quick to sew, and the unique design is unlike anything I've ever made. 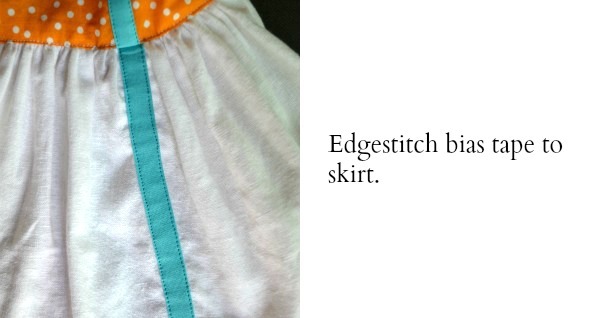 Rather than attaching the shorts, I decided to remix the pattern and make it into a gathered dress. 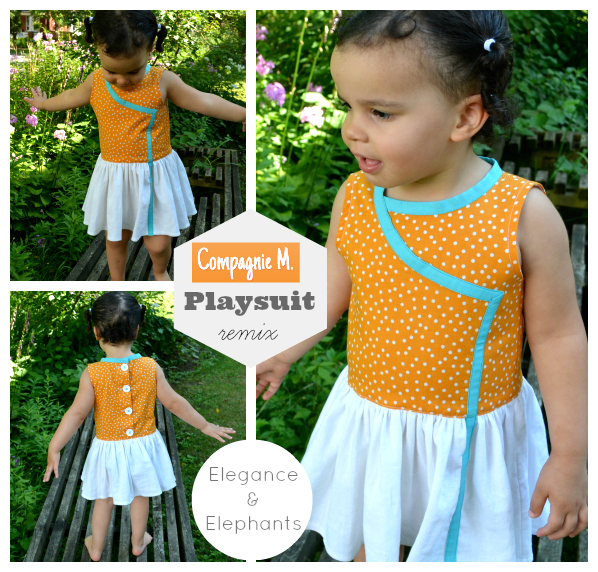 If you'd like to make this variation, head over to Compagnie M, download the free pattern, and follow the mini-tutorial below to make you own Playsuit Dress. 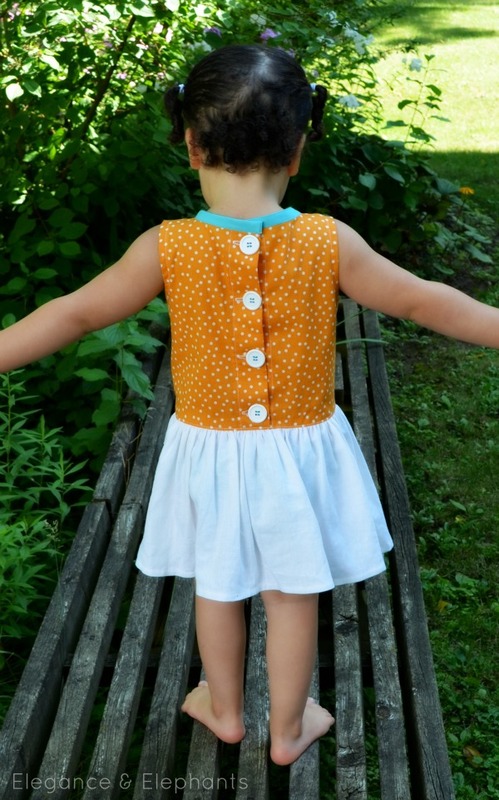 Follow the instructions on your downloaded pattern to complete the bodice. 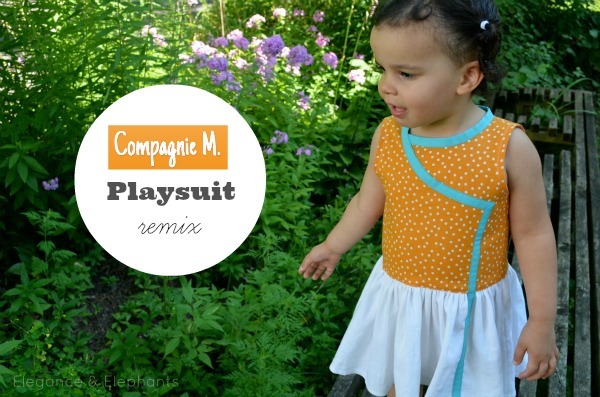 12 comments on "Compagnie M Playsuit Remix with Tutorial"
Super cute with the blue bias tape running all the way down. 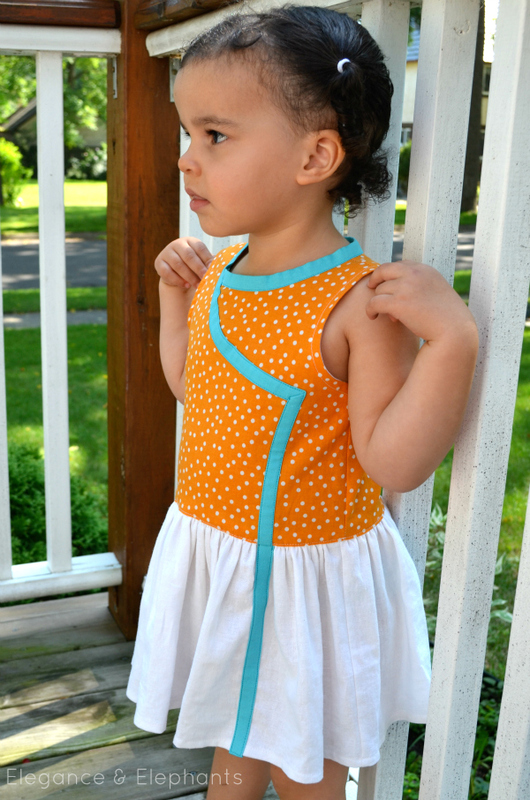 I love the orange & blue combo, & her piggie tails are so cute! This is such a sweet playsuit, Heidi. I love the bright orange and blue. Great idea for a flip! Great colors too! This is so cute, Heidi! Love the pop of blue against yellow! 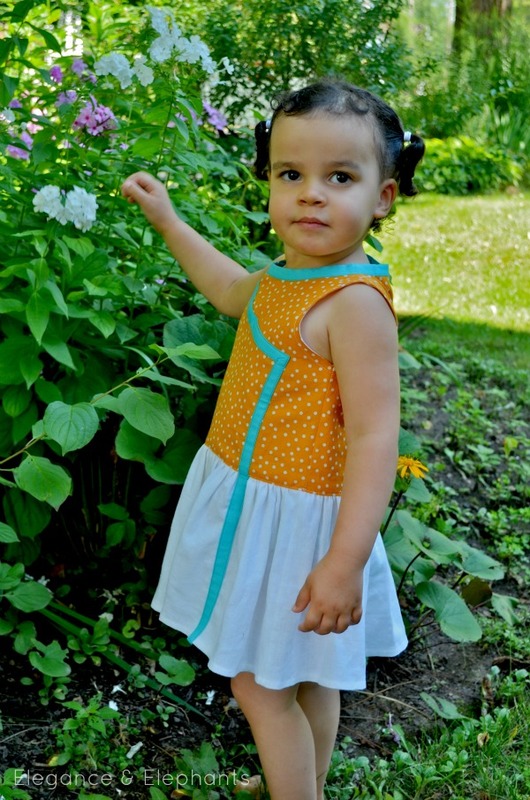 That is such a darling dress. I love the colors you put together. Your daughter is such a cutie. Such a great color combination! Your flip is stunning of course but your little girl is adorable! CAN you give me the pattern please ? Hi Marion. Thank you, glad you like it! 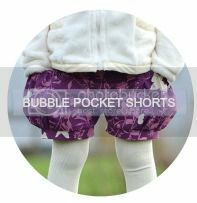 To get the pattern, I recommend going to Marte's blog, Compagnie-M, and contacting her. Thanks again.